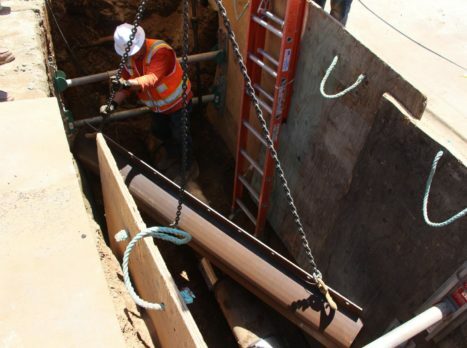 The San Dimas station is part of the Foothill Gold Line light rail project from Glendora to Montclair, and will be located east of San Dimas Avenue between Bonita Avenue and Arrow Highway. The station will be a center platform station, with light rail tracks on either side (one for westbound and one for eastbound trains). The San Dimas station will have an associated parking facility, and have amenities for riders arriving by walking, bicycle, bus and drop-off. 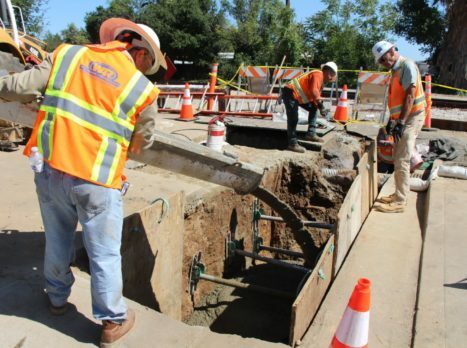 Once completed, three tracks will run through the City of San Dimas within the shared rail corridor – the two light rail tracks will be located in the south portion for the Gold Line and the one freight track will be on the north. While the two systems will share the rail corridor, light rail trains and freight trains do not share tracks. 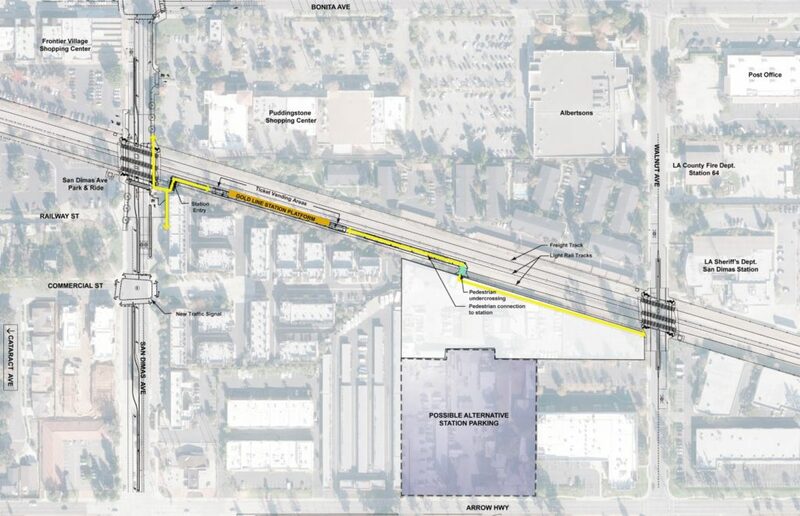 Permanent changes will also occur due to the project, including safety enhancements at all street crossings (raised medians, red curbing and turn restrictions within 100 feet of the rail corridor at all street crossings), relocation of the freight track to the northern half of the rail corridor, new fencing and walls along the entire rail corridor, and new overhead lines to power the Gold Line system. 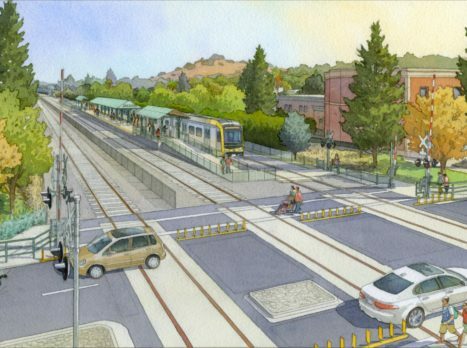 Additionally, the Gold Line tracks will be grade-separated on a bridge over the Bonita Ave/Cataract Ave intersection, requiring the permanent closure of Monte Vista Avenue at the railroad crossing. Once completed, a trip from San Dimas to Pasadena will take about 27 minutes and further to downtown Los Angeles will take approximately 56 minutes. Eugene Daub is a local artist nationally recognized for his sculpture and Bas-relief work. He is also the vice-president of the American Medallic Sculpture Association and a Fellow of the National Sculpture Society. Over the years, Eugene has designed and created many public art commissions for the United States Government, private foundations, universities and corporations. Some of his public collections are displayed at the Helsinki Art Museum, the British Museum in London, the Smithsonian Institute, United States Capitol and the United States Park Service. Eugene studied at the University of Pittsburgh; Pennsylvania Academy for the Fine Arts; University of the Arts, Pittsburgh; the Johnson Atelier Technical Institute of Sculpture; Rutgers University in New Jersey; and the Academy of Art College in California. Anne Olsen Daub was educated at Fresno City College and Otis College of Art and Design in Los Angeles. She has lived in Los Angeles the past 15 years and has worked in the fashion industry at Mattel, designing and creating doll concepts and fashions for Barbie in both mainline and collectors. Since leaving Mattel, Anne has returned to her love of painting and mixed media. She explores the use of color, fabric, found objects and architectural elements in her work. Their artwork will capture the city’s special “Sense of Place,” born of a unique history in the citrus industry, a connection with the land, water and geography, its flora and fauna, along with cultural and community events and activities. There are no less than 25 parks and countless trails and hiking paths in the city. The station’s various art concepts celebrate the wonders of the parks, mountains and local history. A series of larger than life “walking sticks” located on the platform are inspired by the animals and notable historic characters of San Dimas. They are sentinels that remind the viewer of unseen wonders and majestic vistas of the San Dimas area. They evoke a sense of exploration and discovery. They are an ageless symbol of the explorer in all of us. Animal footprints will be located on the platform or on the canopy column bases. The concepts developed for the station are delightful and interactive and allow the viewer an opportunity to pause and reflect on the city’s unique character and place. For more information on the artists and artwork, click here for the latest station fact sheet. 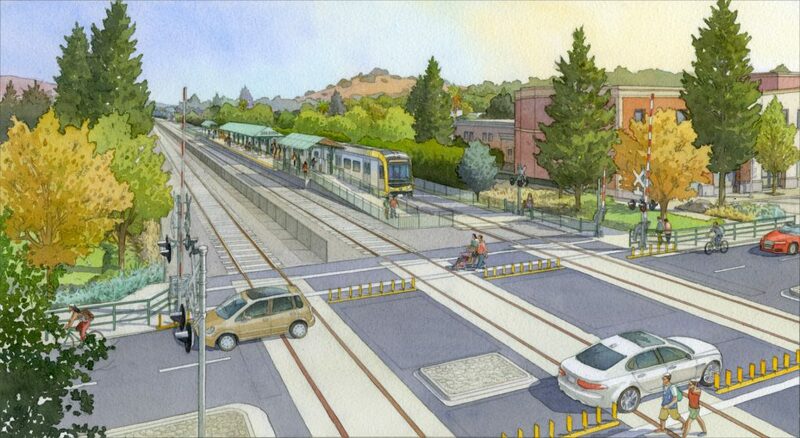 During 2006-7, the Construction Authority worked with the City of San Dimas (along with all other Foothill Gold Line cities from Pasadena to Montclair) to explore their visions for integrating transit oriented developments (TOD) near the future stations. At that time, the city was still uncertain as to the location of the city’s future station. 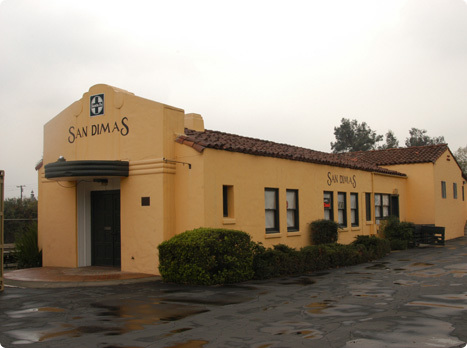 Since then, the city decided that the station would be located east of San Dimas Avenue, opening up the possibility of further discussions about TOD in the general area. The Construction Authority and city began a new dialogue through another TOD study in 2010, which revisited the earlier concepts following the economic downturn. In 2016, the Construction Authority measured the progress of TOD implementation since the first segment of the line opened for passenger service in 2003, including reviewing the potential TOD that could take place near the stations looking forward. Click here to learn more about the TOD Studies. The City of San Dimas, located along historic Route 66, is bounded by the 210 (Foothill), 57 (Orange) and 10 (San Bernardino) freeways. 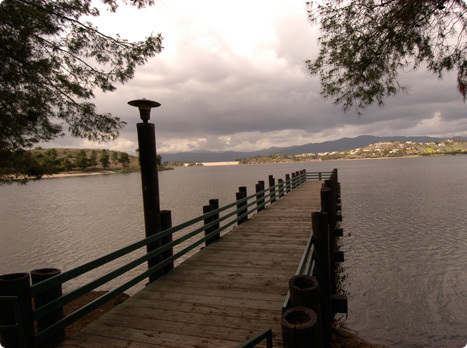 Along with convenient access, the city boasts beautiful vistas of the San Gabriel Mountains as well as the Pomona and San Gabriel Valleys. 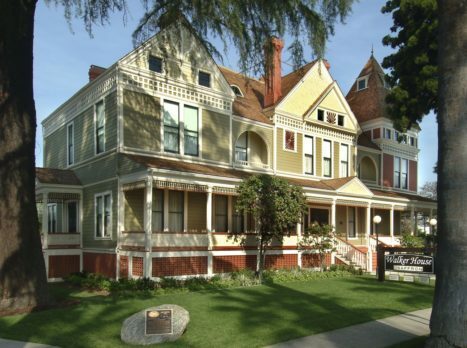 The City’s distinct western style is most evident when visiting downtown shops, restaurants, museums and businesses. Wooden sidewalks and western storefronts lead visitors to the heart of downtown San Dimas. 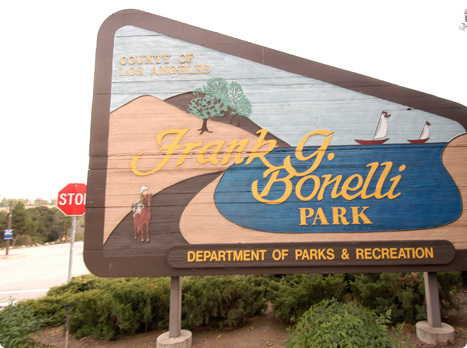 The City is located approximately 30 miles from downtown Los Angeles, has 35,000 residents and has an area of 15 miles. 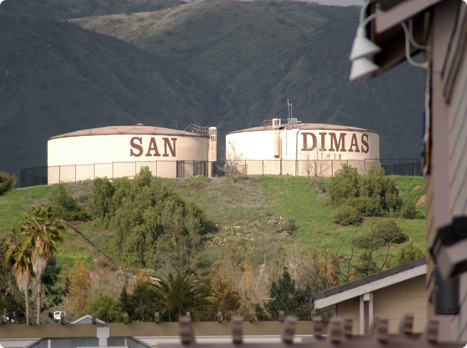 Visitors to San Dimas can enjoy many entertainment, shopping and cultural amenities. Whether stopping by to play golf, visit Raging Waters, California’s largest water park, shop at one of five shopping centers, or the Railroad Museum San Dimas is a prime destination for the whole family. In 2010, the city celebrated its 50th year as an incorporated city.